You can purchase an Excel plug-in from Builder Resources which you can import into your current accounting program. Using this option will save several days of work. 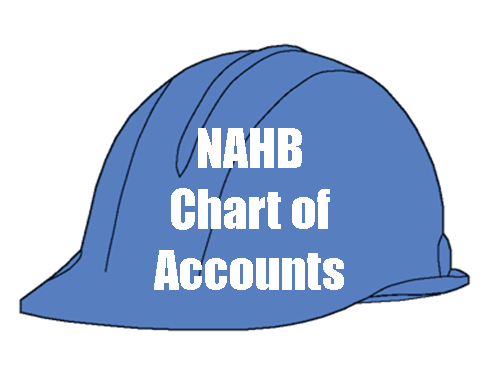 The CHART OF ACCOUNTS is the way in which you organize your accounting information. Think of it as the FILING CABINET holding DRAWERS (Level One) into which you place FILE FOLDERS (Level Two) containing DIVIDERS (Level Three) holding financial information about your business. A well-organized Chart of Accounts is imperative for containing your business financial information and then presenting that information to you in a useful format. from pre-sales to rental operations. You will, however, use only the line items you need to manage your business finances. You can control which accounts show up on your reports by setting some line items to "Active" and others to "Inactive". Most computerized accounting programs provide this feature. If you are a spec builder, for instance, you will not need the "Rental Operations Expense" section, and will set that entire section to "Inactive". There will be other Level Two or Level Three line items that you will not need. Those will also be set to "Inactive". The purpose of providing such a comprehensive Chart of Accounts is to make certain that a line item is available when needed. In the interest of providing the most useful information, you will use only the line items you need, but will use all the line items you need.